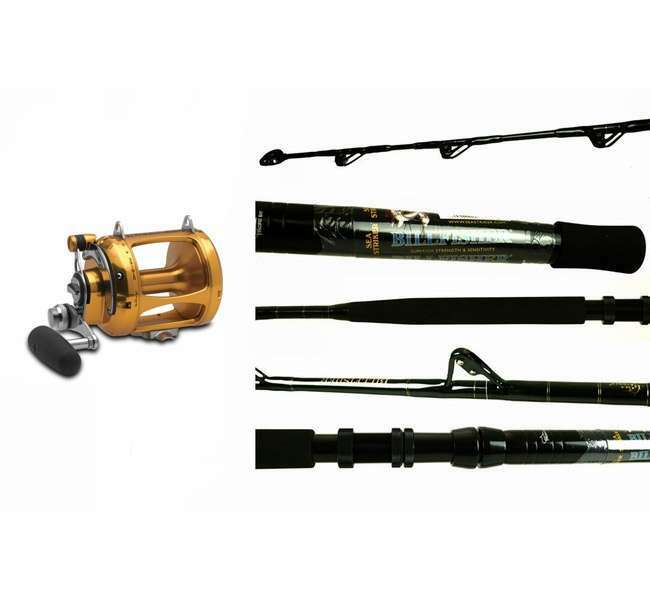 Get a durable, quality rod and reel at a great price. This combo features the Penn 30VSW International lever drag reel and the TD Custom Billfisher rod. The International V reels offer the most advanced and reliable fish-fighting performance in the world, with an ergonomically designed, contoured, one-piece machined frame, and unbelievable cranking power and strength. Distinctive pure gold color separates Penn from the imposters. This custom made Billfisher rod from Sea Striker is a TackleDirect exclusive. They are stand up rods made with glass blanks and durable EVA foregrips. 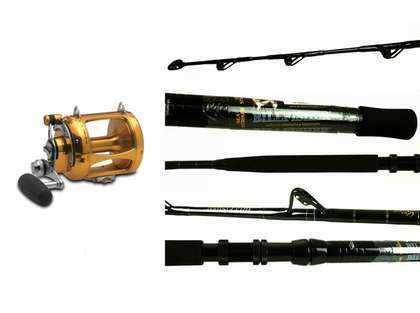 They are also rods that are built with Aftco guides that are triple wrapped and coated with UV resistant technology. How can you not like the price of this combo. On sale you get the rod for free as the reel costs what the combo does. The reel is obviously top of the line. I am hoping the rod to be as well. I would recommend this combo to anyone trolling for pelagic's. The Penn International 50 VSW is a legend and when paired with this custom billfisher rod you get a combo that can't be beat for the price!